NEW patients in the Farm Lake City Animal Hospital - rooster Gary and dog Judy. 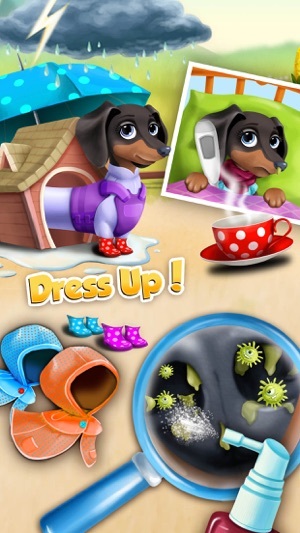 Help them get well and play the best animal doctor, dentist and pet vet games for kids and toddlers! Farm Lake City animals need doctor care! 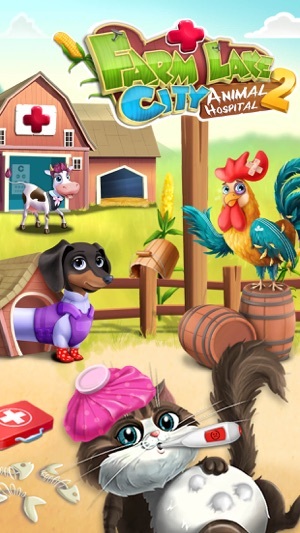 Run your own animal hospital and treat six farm animals. Judy, the cutest dachshund, has a terrible flu. Rooster Gary needs to recover after a fight with a fox. 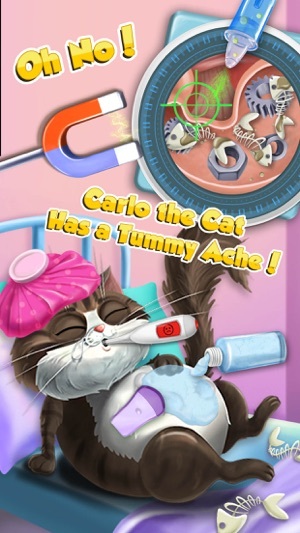 Carlo the Cat has a tummy ache. Mrs. Pigsley got a sunburn instead of a nice summer tan. Miss Violet, the lady cow, read books in the dark and now her eyes hurt. Billy the Donkey needs to see the dentist. Be their doctor and treat your little patients! Miss Judy was guarding the Farm Lake City Animal Hospital all night and now she has a flu! Take her temperature, clean her nose and throat, and make a good cup of tea. Help Miss Judy get rid of the flu and dress her with warm clothes! Rooster Gary had to fight an evil fox who snuck into the chicken coop. Now he has a black eye and his beautiful feathers are broken! Help Gary recover from the fight, brush his feathers and make him look handsome! Well well, just look at what Carlo the Cat did - he ate all the fish in the tank! Use the X-ray machine and find out why his tummy hurts. Treat Carlo with love and care! Mrs. Pigsley got back from her summer holidays with a terrible sunburn. Treat her skin with a mud bath and facial spa. Give Mrs. Pigsley a sunscreen – it’s a sunny summer in Farm Lake City! Miss Violet, the best teacher in Farm Lake City, was reading all night and her eyes hurt. Choose colorful contact lenses, cute glasses or cool sunglasses for Miss Violet! Billy the Donkey was eating candies all day long and now he has bad teeth. Give Billy a basket of tasty fruits and vegetables that will keep his teeth healthy and strong! 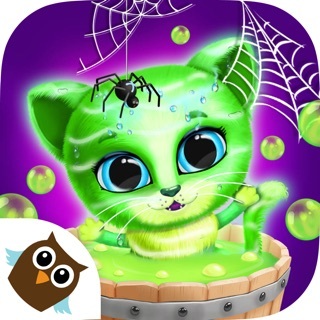 This magic tree grows and gives coins - check it from time to time and collect all coins! Dress up your favorite animals with the cutest clothes. Design a new look for Miss Violet and create a new style for Miss Judy! More Fun in Farm Lake City! 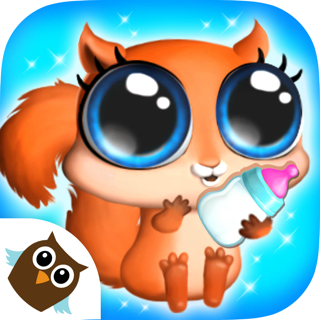 Watch videos for kids, get extra coins and use them to unlock new game items. 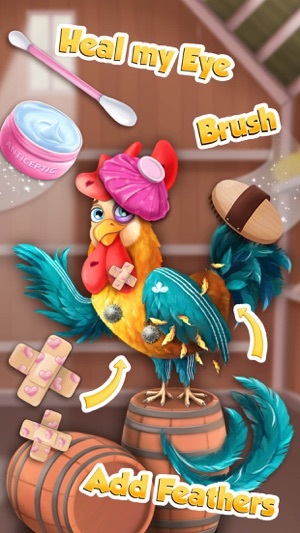 Level up and collect all Best Farm Lake City Doctor trophies! 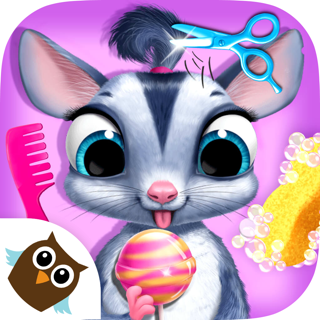 Farm Lake City is the home of super cute and funny animals that can teach kids many useful things. 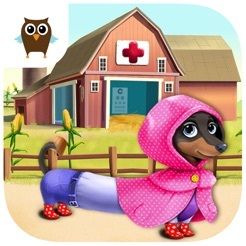 Farm Lake City Animal Hospital game helps kids learn about the most popular farm animals and builds good habits: not eating too much candies, not staying in the sun too long and not reading in the poor light. 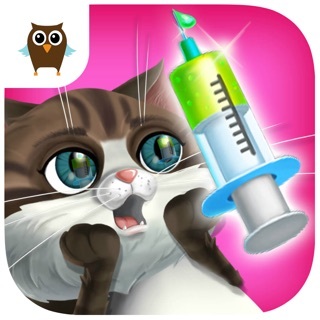 Animal Hospital is just the beginning – more animal adventures await! 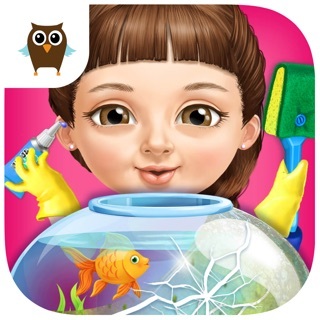 You can play Eye Clinic, Dental Office, Dress Up and Coin Tree mini games for free. You can purchase Flu Treatment, Fighter's Clinic, Tummy Clinic and Skin Care mini games for $1.99 each; or get the full game version with no ads for $4.99. You should make it to where you have all characters then there should be bonus characters.